I love small boats and believe that, for the most part, one shouldn’t choose the biggest boat that one can handle or afford, but rather the smallest that one is comfortable with for the intended purpose, whether it be for daysailing or cruising all the oceans of the world. 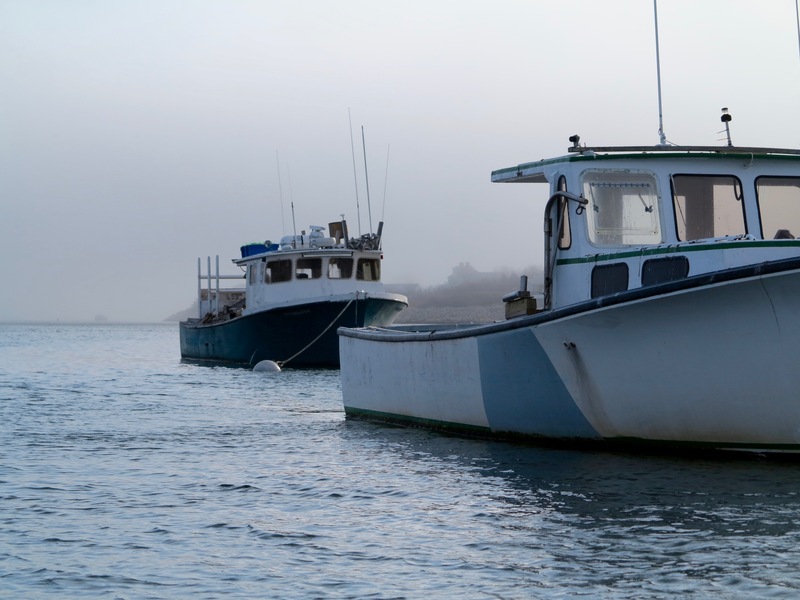 I was reminded of my affection for small boats when I visited New England this past December. There was a stretch of beautiful, unseasonably warm weather, so naturally I wanted to get out on the water. The 15′-long Wayfarer sailing dinghy I keep at my parent’s house was put away for the winter, but that was no problem. It took all of a couple of hours to take the tarps off the boat, dust things off inside, fetch the mast and rudder from the garage, and gather the rest of the sailing gear. My floating home, Idle Queen, at 32′ long, would have taken days to ready if she had been similarly put away. The Wayfarer is a small boat, but one that has long been noted for its good sailing and seakeeping abilities. Designed by Ian Proctor in 1957, she is stable enough to be a training boat, fast enough to keep experienced sailors interested, and seaworthy enough to take on the open ocean. Indeed, Wayfarer dinghies have even made long voyages, like all the way up the east coast of the USA from Florida to Canada, from England to the Faroe Islands, and even from Scotland to Norway and Iceland! The stout little Wayfarer is one of the boats that helped spread the idea of “dinghy cruising”–sailing and camping in small open boats. Sailors like Frank Dye and others have written entire books about cruising in their Wayfarers. 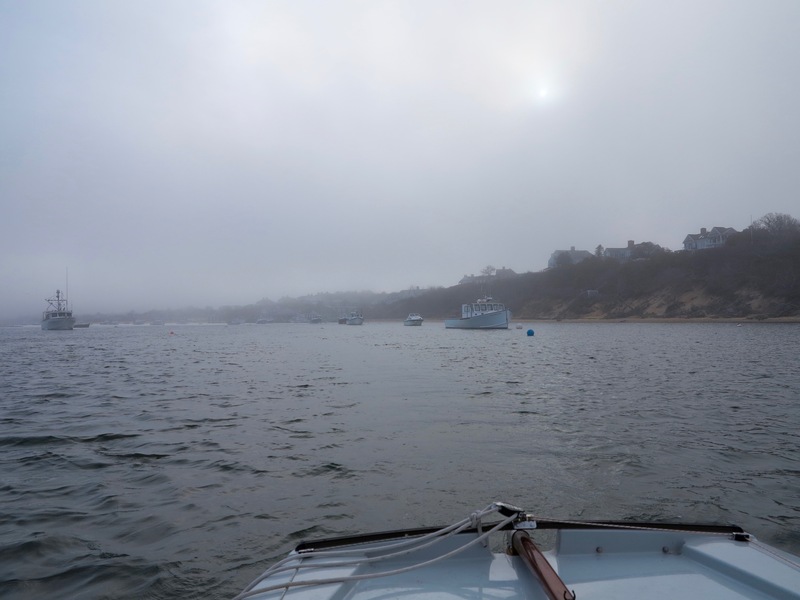 Far from sailing across the North Sea, I just wanted to enjoy some quiet daysails on Pleasant and Buzzards Bays, but it was nice knowing that the boat was up for anything the weather might throw at us. As long as the warm weather held out, I went sailing every day. 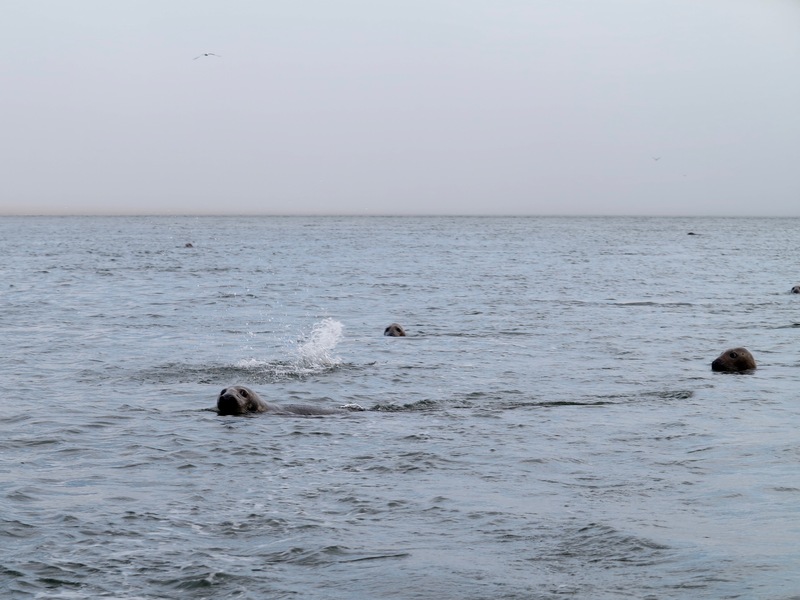 The waters were deserted except for the seals and birds. I didn’t even see any fishermen while I was out. The navigational markers had mostly been removed for the winter, leaving me to pilot by eye and memory. This was a fun exercise, as the Wayfarer only draws about 6 inches of water with the centerboard and rudder up. I enjoyed seeing the waterways with fewer signs of civilization. Monument Beach Sunset. Time to head back to the boat ramp! I didn’t bother to take the engine, as the Wayfarer could be easily moved with paddles if the wind died, further simplifying setup and reducing the number of things that would have to be put away later. 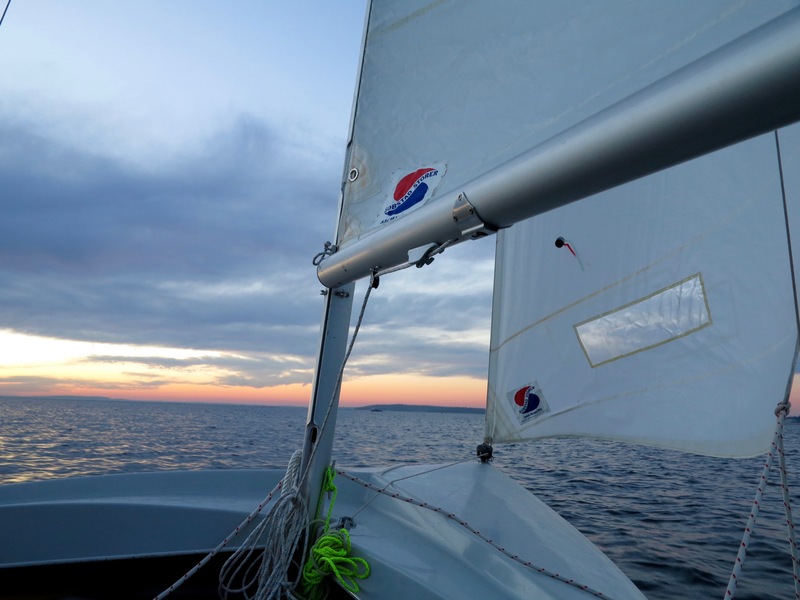 Sailing near Pocasset Harbor just before sunset. 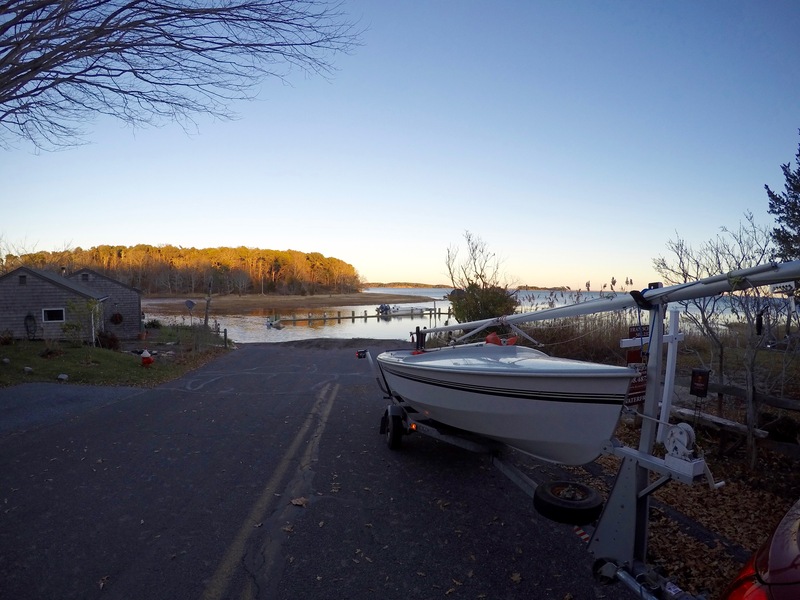 Each day at the beaches and boat ramps where I launched I was greeted with envious comments by people who had already put their boats away for the winter. 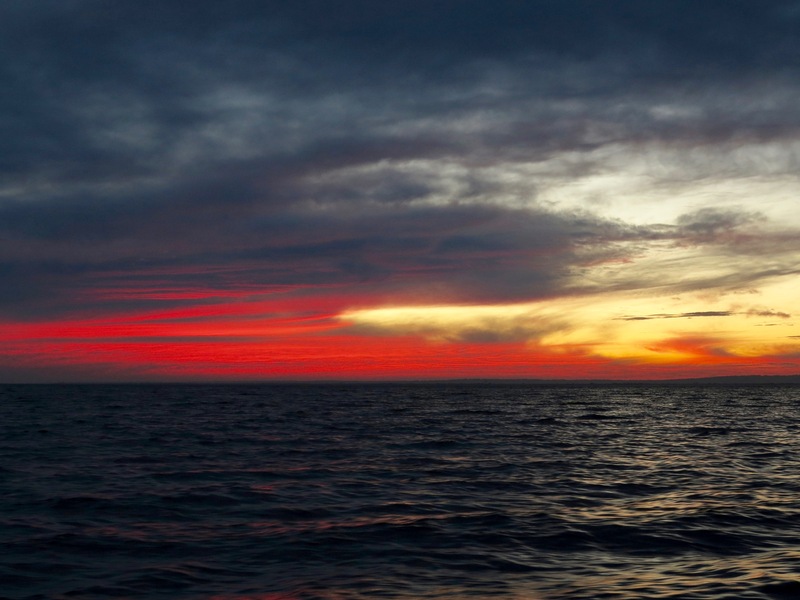 With air temperatures nearing 70 degrees Fahrenheit on a couple of the days, they missing out on some truly beautiful sailing. The wonderful memories I made that week that were only possible because of the ease of setting up the little Wayfarer. When the freezing weather returned, I washed everything down (admittedly no fun task in those temperatures!) covered the boat, and contentedly put all the gear away, ready for next time. 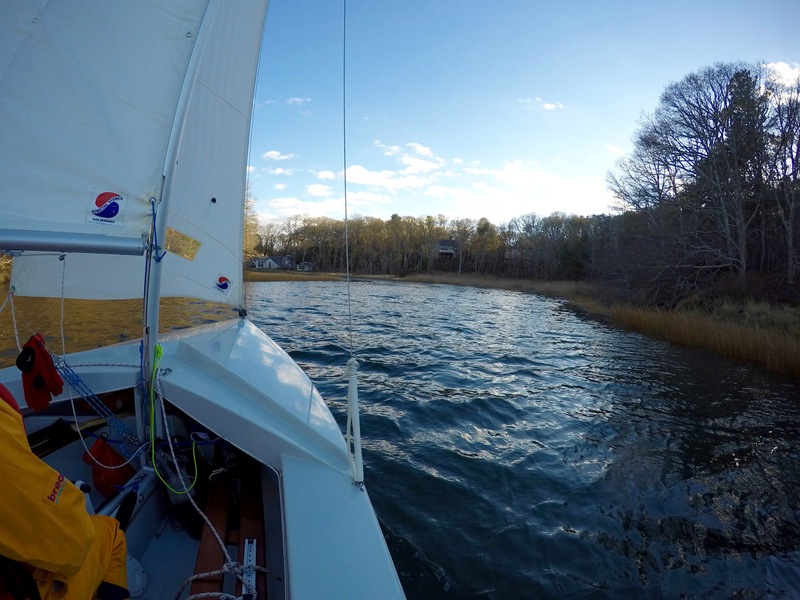 That surprise winter sailing fix was just what I needed to carry me through ’till spring. 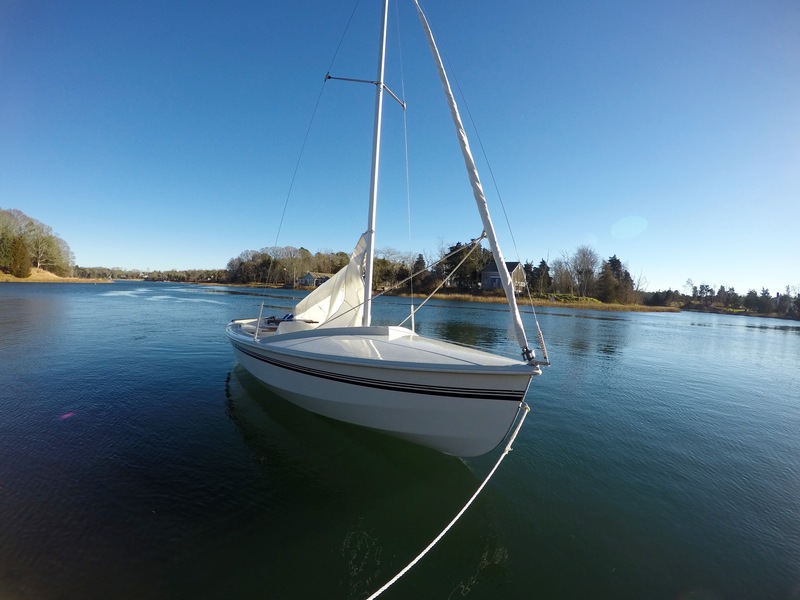 Wayfarer on her trailer–ready to head home after another beautiful winter sail. The memories…..thank you for sharing. Thanks for taking the time to write to let me know that this blog brought up some happy memories for you! Hope to see you and your Alberg out on the water someday! Hey John! Good to see you here… I hope that all is well for you, friend!